Tuesday is going to be a busy day. 1. 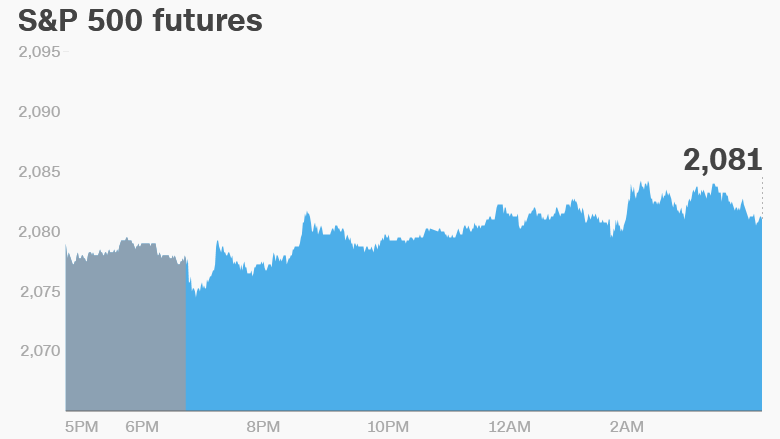 U.S. stocks maintain momentum: U.S. stock futures continue to move higher Tuesday after a broad global market rally on Monday. However, European markets and Asian markets are struggling to keep pace. Some major European indexes are slipping a tad following stunning gains of 3% or more on Monday. Investor sentiment continues to be guided by expectations about the outcome of the "Brexit" referendum on Thursday. 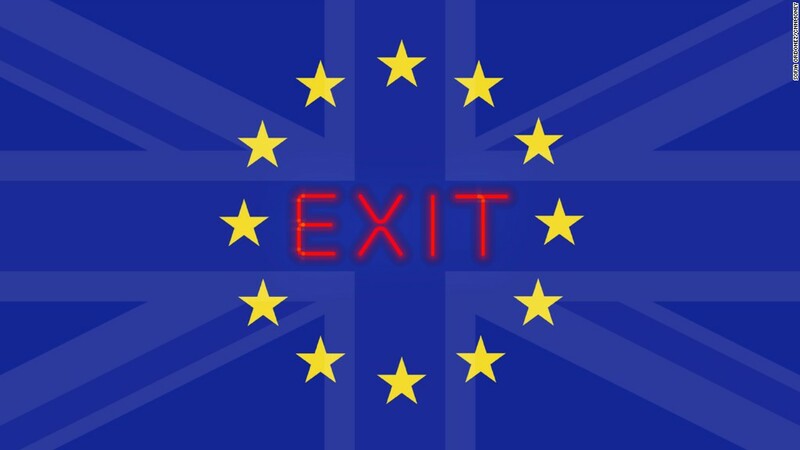 British voters will decide whether they want the U.K. to leave the European Union. A vote to exit the bloc would have wide-reaching economic and market implications. 2. Soros' new trading advice: Legendary investor George Soros has weighed into the Brexit debate, warning that if U.K. voters choose to leave the European Union, the pound could crash by more than 20%. "Too many believe that a vote to leave the EU will have no effect on their personal financial position," Soros wrote in The Guardian. "This is wishful thinking." The warning from Soros carries extra clout since he made a massive speculative bet against the pound in 1992 that earned him the nickname, "The Man Who Broke the Bank of England." Soros' comments came just after the pound surged by 2.8% against the U.S. dollar on Monday as traders bet that U.K. voters would opt to remain in the EU. 3. Central bank action: The head of the Federal Reserve, Janet Yellen, is set to testify on Tuesday before the U.S. Senate Committee on Banking, Housing and Urban Affairs. The event kicks off at 10 a.m. ET. Yellen said earlier this month that the Fed held off on raising interest rates because of "headwinds blowing on the economy," including the destabilizing threat of a pro-Brexit vote. The Fed has kept warning it wants to raise interest rates but has continued to push back those plans after a single rate hike in December. Also at 10 a.m. ET, Yellen's European counterpart will be making some high-profile statements in Brussels, Belgium. European Central Bank President Mario Draghi will be speaking before the Committee on Economic and Monetary Affairs at the European Parliament. "In theory this should carry as much weight as Yellen's testimony. In practice it does not," noted UBS senior economist Paul Donovan. "The attention is with Yellen." 4. Ones to watch -- Boeing, Liberty Global: Airplane manufacturer Boeing (BA) confirmed Tuesday that it signed a deal to sell Iran Air new passenger aircraft. This marks the first major contract between a U.S. company and Iran since nuclear-related sanctions on the country were lifted earlier this year. The deal will help Iran modernize a fleet that is among the oldest and most dangerous in the world. Shares in Liberty Global (LBTYA) could be volatile Tuesday after the company announced how it will distribute new shares of its Latin America and Caribbean unit, which is being dubbed "LiLAC Group." 5. Earnings: Carmax (KMX) is set to report earnings before the open, while La-Z-Boy (LZB), FedEx (FDX) and Adobe Systems (ADBE) will report earnings after the close.